CollectiveSun’s Financing Solution, designed specifically for nonprofits, decreases the cost of any nonprofit’s solar project by 15% and enables the nonprofit to raise the remaining amount (85%) using a variety of options. If you were a nonprofit and you Googled “solar for nonprofits”, very few solar installers would appear and the reason why is simple. Most installers don’t think nonprofit solar projects will pencil out or get funded so they don’t list nonprofits on their websites as being a category they serve in addition to commercial and/or residential. This oversight is staggering because it means solar installers are missing out on an enormous market opportunity serving over 1.5 million nonprofits in America who are eager to embrace clean, renewable energy. CollectiveSun is the only solar financing company that works exclusively with nonprofits nationwide to solve two problems. First, they are able to use tax credits that are otherwise lost by the nonprofit. This reduces any installer’s cost by 15%. Next, they provide a series of funding options for the remaining 85% of the system cost. CollectiveSun has only two requirements: the solar project has to be 20 kilowatts (kW) or greater and the utility servicing the nonprofit must allow third-party ownership models such as Power Purchase Agreements (PPAs). There are basically five options any nonprofit can use alone or in combination to pay for the remaining 85%. 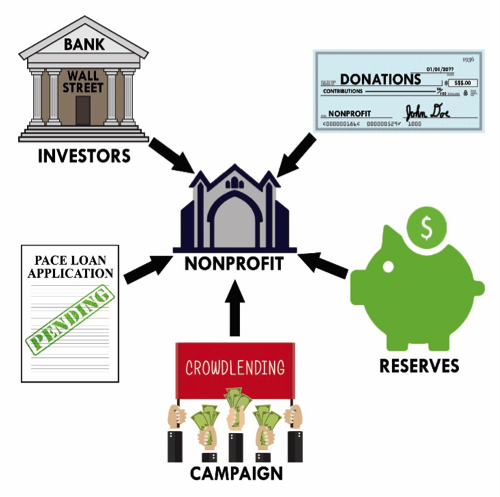 They can: 1) go to a bank or specialty nonprofit lender (CollectiveSun works with several), 2) ask for donations, 3) utilize reserves, 4) apply for a PACE (Property Assessed Clean Energy) loan, or 5) use CollectiveSun’s proprietary CrowdLending platform which facilitates a direct loan to the nonprofit from the nonprofit’s supporters. Because it’s a direct loan between the nonprofit and its supporters, the term (number of years) as well as the interest rate (0-10%) can be set at the discretion of the nonprofit. Another way to look at it is if a nonprofit replaces a $50,000 per year utility bill with a $40,000 per year loan, the loan is eventually paid off and goes away and the nonprofit then enjoys free power for decades. Case Study: A church in NY wanted to go solar. An installer gave them a bid of $1,000,000 for a 400kW system. The pastor did not have enough money in reserves to pay for the system outright. Two banks told him his loan request was too risky and the pastor didn’t want to go to his supporters to ask for another round of donations. Instead, he decided to utilize CollectiveSun’s CrowdLending platform. He informed his supporters that the loan would be paid back with annual principal and interest payments over 10 years with a 5% return on their investment. The Church would be the owner of the system at no additional out-of-pocket cost in just 6 years. The pre-funded PPA would allow the Church to lock in a discounted energy rate 25% less than what they were currently paying for 25+ years which protects them against utility rate increases. Best of all, the Church only needed to raise $850,000 in loans because CollectiveSun was able to apply tax credits to reduce the cost by 15% (a $150,000 saving), which is money they could use to retrofit their AV system and build a new playground. 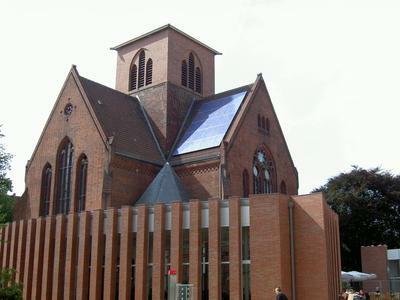 At the end of the 25+ year life of the solar system, this Church will end up saving $2,000,000 or more. For more details on the CollectiveSun process contact Todd Bluechel, VP of Marketing & Sales, for CollectiveSun. He can be reached at (858) 480-9342 and tbluechel@collectivesun.com.